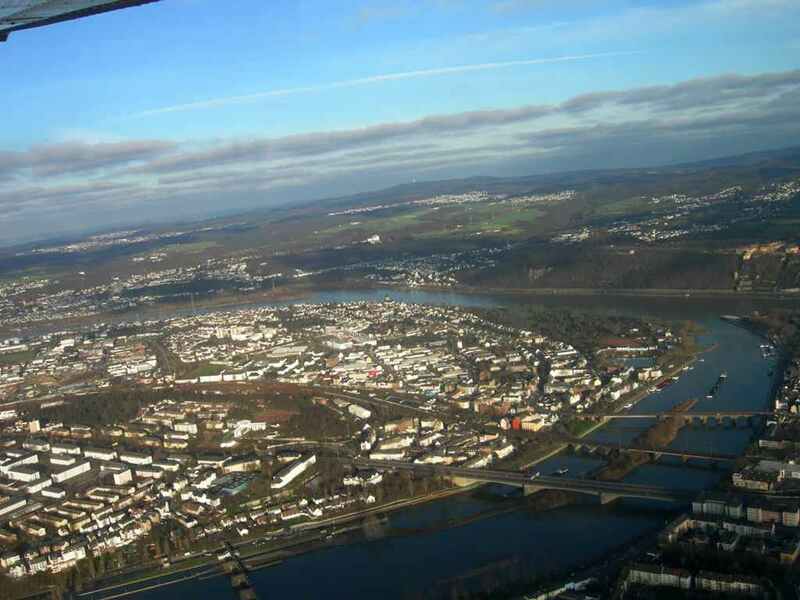 To answer J's question to my flying post a couple of days ago, Koblenz has a couple of airports. 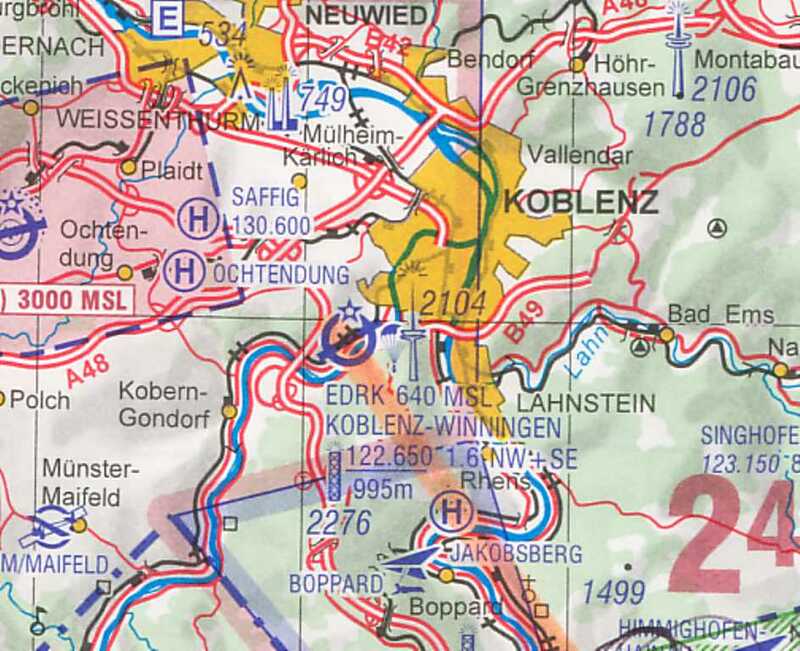 The one I flew to on Sunday was Koblenz-Winningen, which is at the center of the chart-extract. The airport itself is on a bluff nestled between a couple of bends in the Mosel. 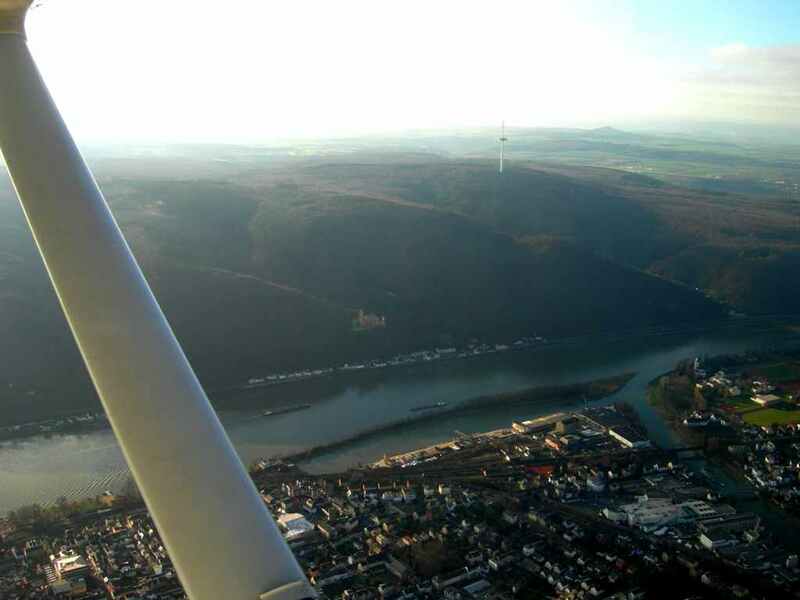 The approach is one of those nice "I'm flying into the side of a hill" approaches. I unfortunately didn't get pix of the approach because I was alone and flying into the sun, and I've used up all my luck this year. Next time. In which case you will find yourself over the heart of the town. Okay, I knew that Winningen had an airport, but Winningen is not part of Koblenz. It's about 20 minutes from here by train and is in a different county. lol. Actually, Winningen is a very nice wine village and most people in this region know it well and like it (including me). 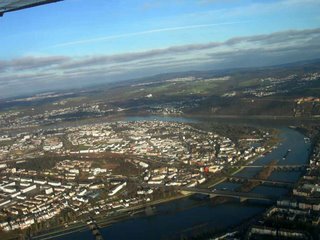 We just don't consider it to be part of Koblenz - very different than F and OF.